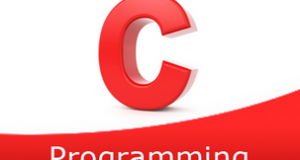 C program to toggle case of each character of a string – In this article, we will describe on the numerous means to toggle case of each character of a string in C programming. As you can see in the image uploaded above, you need to enter the string that you want to. As per the title, the case of the string needs to be altered or toggled. Read the entered string and save in the character array s using gets(s) function. 2) Now convert the small letter character into a capital letter and vice-versa. a) If the ASCII value of the character s[i] is in between 65 to 90 then convert the character into the small letter by adding 32 to its ASCII value. b) If the ASCII value of the character s[i] is in between 97 to 122 then convert the character into the capital letter by subtracting 32 from its ASCII value. Repeat the loop until the last character of the string becomes to null. The main() function calls the stringtogglecase(char *s) to convert capital letter characters into a small and small case to capital. 2) The function converts the cases of all characters of the string. The for loop iterates through the string until the last character of the string becomes to null. a) Check the ASCII value of each character of the string. b) If the value is in between 65 to 90 then convert the character into the small case by adding 32 to its ASCII. c) If the value is in between 97 to122 then convert the character into the capital letter by subtracting 32 from its ASCII. The recursive function calls itself by increasing i value until the character of the string becomes to null. 2) The function checks the ASCII value of the first character of the string. If it is a small letter then convert into the capital letter by subtracting 32 from its ASCII value. If it is in a capital letter then convert into the small letter by adding 32 to its ASCII value. Increase the i value for next character of the string. The function calls itself(go to the step 2). p is the pointer variable, it points the character array s.
a) If the ASCII value of the character at the pointer variable p[i] is in between 65 to 90 then convert the Character into the small letter by adding 32 to the ASCII value of the character at the pointer variable p[i]. If the ASCII value is in between 97 to 122 then subtract 32 from the ASCII value of the character at the pointer variable p[i]. b) Increase the i value for next pointed character(go to step 2).